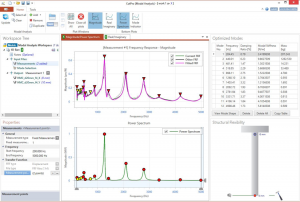 Modal Analysis Module - CutPro® | Modal Analysis Software | MAL Inc. 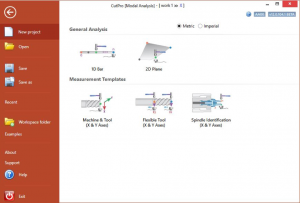 The CutPro® Modal Analysis Module has several practical features which can be used daily in machining shops and machine tool testing. 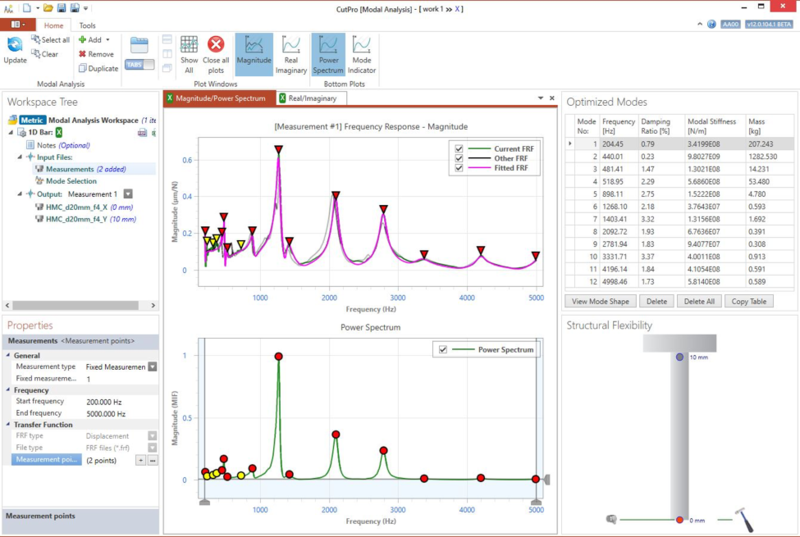 The CutPro Modal Analysis module aims to predict the natural frequency, damping ratio, the stiffness of each mode from FRF (impact) measurements. These are automatically used in simulating vibrations, surface form errors, cutting forces, torque, power, chip history in the machining simulation modules of CutPro. 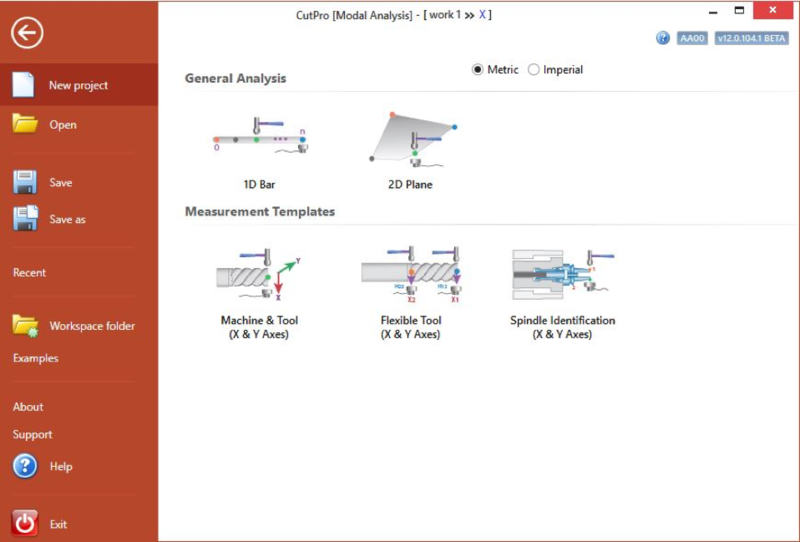 CutPro modal analysis also allows the planners to troubleshoot weak joints in the machines and fixture set-ups. It is done through very simple, fast and easy to use Mode Shape Prediction and Animation features. 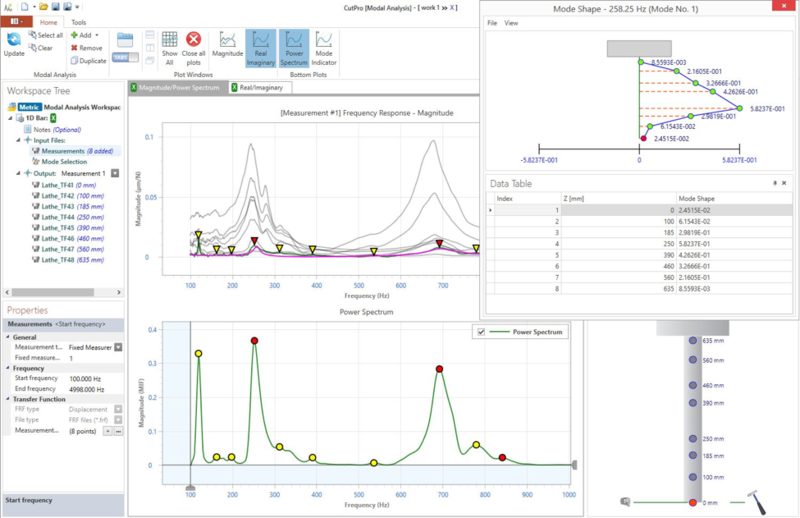 CUTPRO Modal Analysis has also handy features such as estimation of FRFs at the tip of very flexible tools. Simulating various tools and tool holders with its receptance coupling function without tap testing. MAL Inc. keeps adding new features to Modal Analysis module. We aim to create easy to use, easy to learn, and easy to troubleshoot machining set up vibrations in the practical shops without having advanced vibration engineering education. 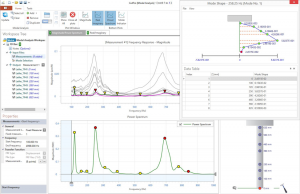 The CutPro® Modal Analysis Module automatically detects the natural frequencies from the measured Frequency Response Functions (FRF) data. The user can disregard unwanted modes, and carry out mode shape analysis and animation with just one push button command. It can accept displacement or accelerometer measurements obtained with CUTPRO MALTF ® tap testing module. Or the user can import any FRF measured by other software systems. For more information about CutPro and other functions, visit CutPro Software page. To get more information on our software solutions as well as production efficiency tips, please contact us.